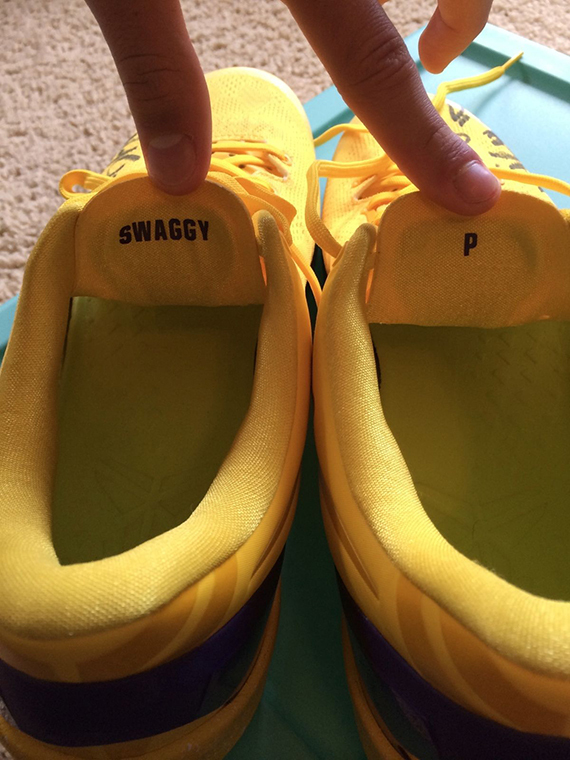 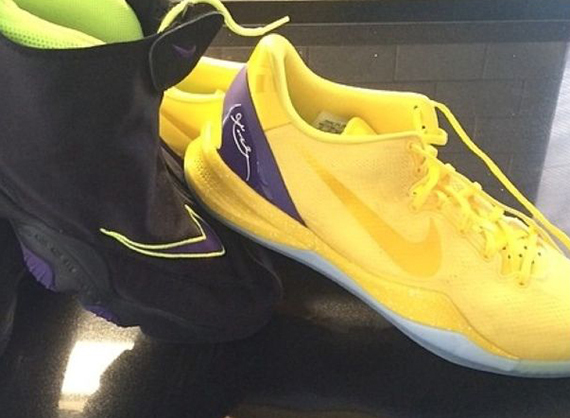 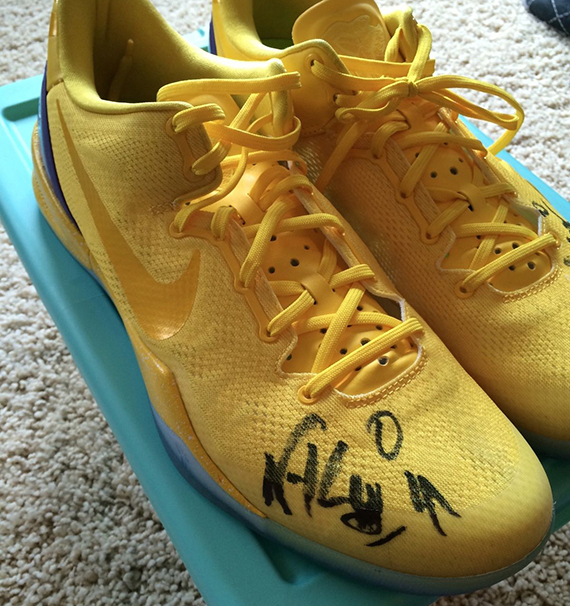 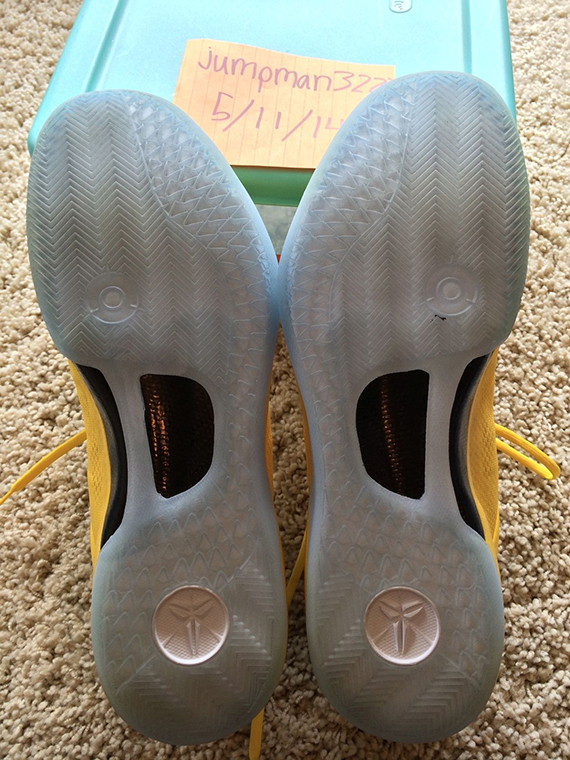 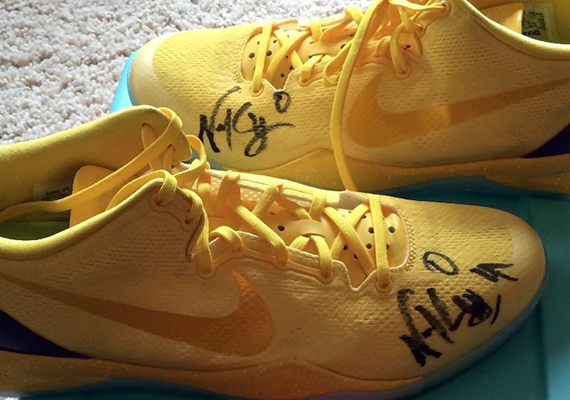 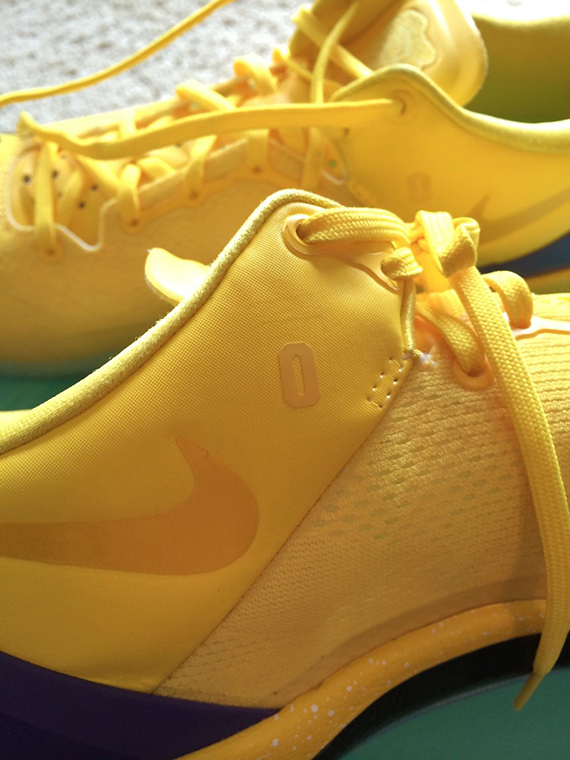 How much is a pair of Swaggy P sneakers worth? 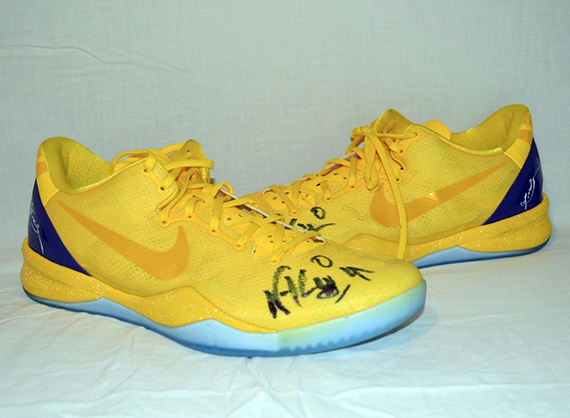 That’s the question asked by this auction, which throws up a Lakers colored Kobe 8 that Nick Young wore out on the Staples Center floor and subsequently autographed. 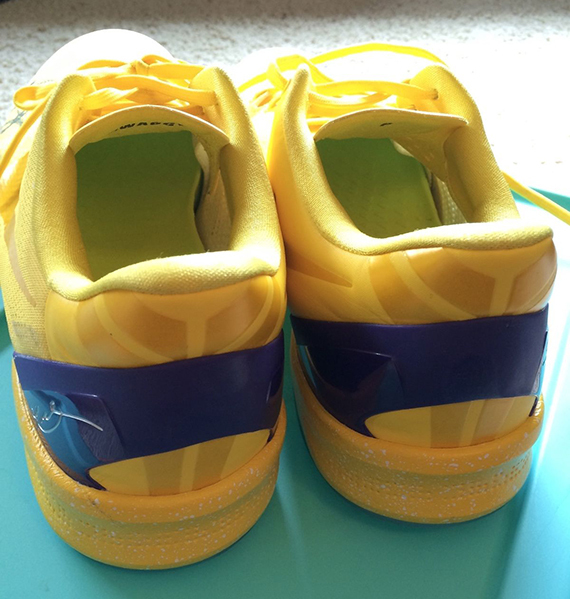 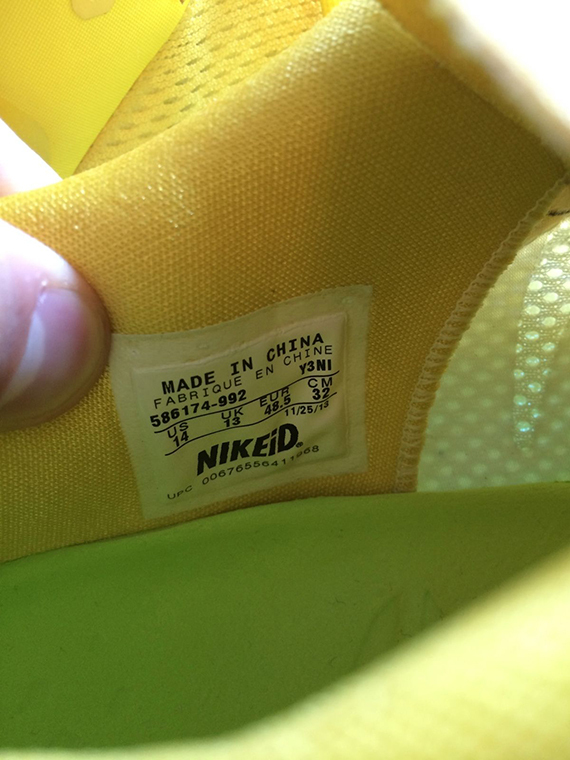 Noteworthy is the fact that this isn’t a PE proper, but rather a NIKEiD creation. 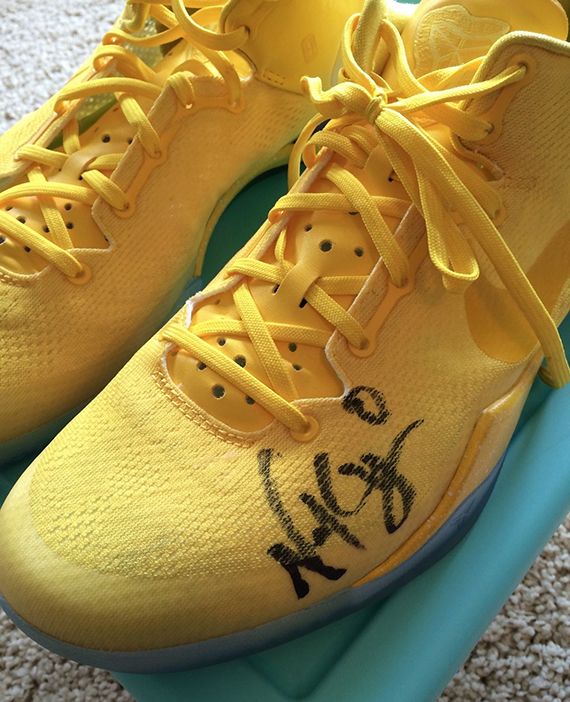 Which means that any value that they may have, which will be judged by this auction, is indeed based on the swaginess passed on to the pair via the mere association with Mr. Young. 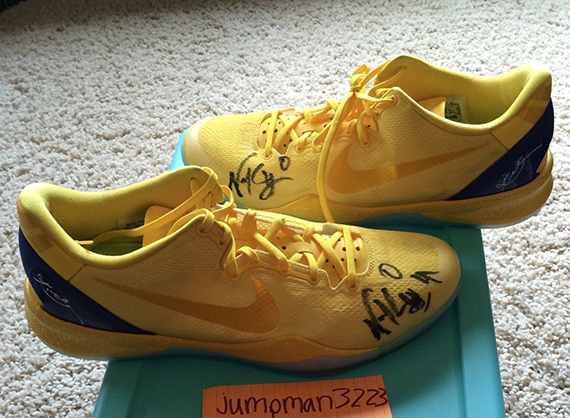 Have a better look at them after the click and then pick up this piece of Nike Kobe memorabilia from jumpman3223 on eBay.